Gabriel Said Reynolds, professor of Islamic studies and theology at the University of Notre Dame, is one of 15 Catholic delegates invited by the Pontifical Council for Interreligious Dialogue (PCID) to participate in a bilateral conversation with 15 Muslim counterparts at Al-Azhar al-Sharif Center for Dialogue (ASCD) Feb. 22-23 in Cairo, Egypt. The PCID, a ministry of the Holy See, is headed by Cardinal Jean-Louis Tauran. Widely regarded as the premier academic institution in Sunni Islamic tradition, Al-Azhar University is led by Grand Imam Ahmed el-Tayeb. In May 2016, el-Tayeb met with Pope Francis at the Vatican — the first papal engagement with Al-Azhar since 2011 — which laid the groundwork for this month’s joint discussion in Cairo. The stated theme of the gathering is the role the two institutions have in “countering the phenomena of fanaticism, extremism and violence” in the name of religion — with examination of underlying causes and proposed paths forward. Reynolds, whose research centers on the Quran and Muslim-Christian relations, believes the greatest opportunities for progress come from emphasizing what Christians and Muslims have in common — the shared stories, history and values. Reynolds is the recipient of a National Endowment for the Humanities fellowship and is spending the 2016-17 academic year as a research fellow at the Institute for Advanced Studies in Nantes, France. He is working on two projects: one that examines all the textual connections and overlap between the Quran and the Bible and one that investigates the notions of divine mercy and divine judgment in the Quran. Reynolds argues in the latter that Quranic passages should be understood less a how-to guides and more as homilies meant to inspire gratitude and fear in the reader. A Columbia University graduate with a Ph.D. from Yale University, Reynolds is the author of three books and editor or co-editor of three others. 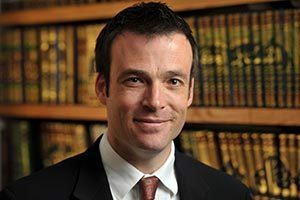 Reynolds joined the Notre Dame faculty in 2003, and his 2009 international conference on the Quran was featured in the New York Times by Nicholas Kristof.